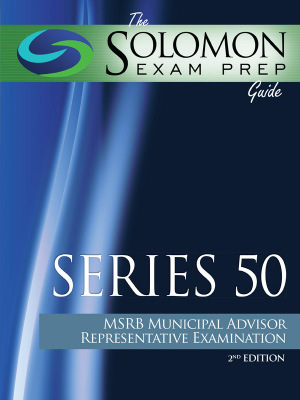 As of September 12, 2016, the MSRB has opened the Series 50 permanent exam for municipal advisor firms to register their municipal advisor representatives. 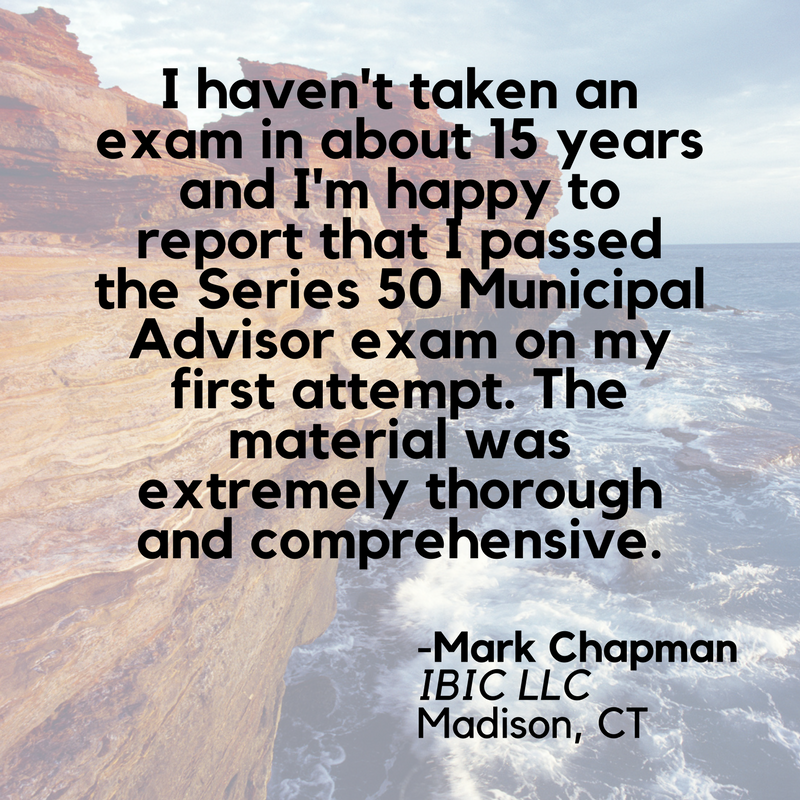 If you are required to take the Series 50 exam, you have a one-year grace period (ending September 12, 2017) during which you can engage in municipal advisory activities before you must pass the exam. 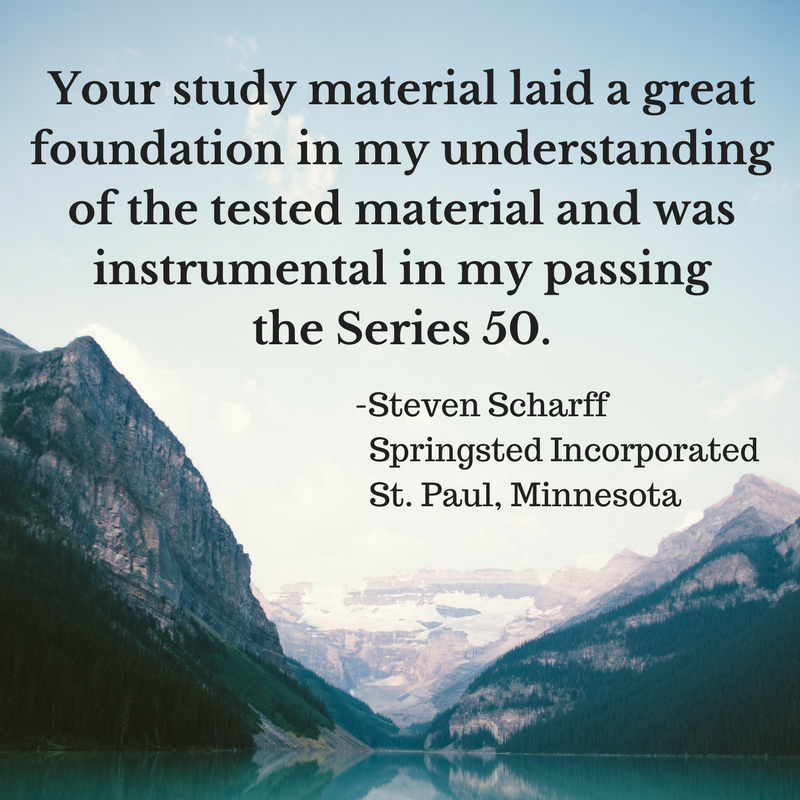 If you took the Series 50 pilot exam and did not pass, your first attempt at the Series 50 permanent exam is free. The exam fee is $265. 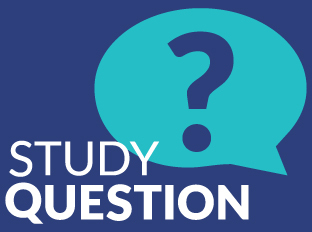 If you used Solomon’s pilot exam study materials and did not pass, we will renew your materials at no charge. 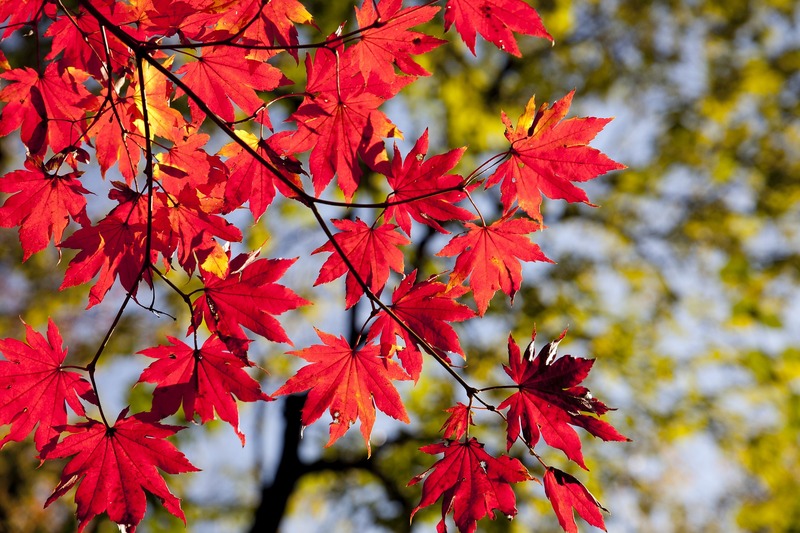 Just give us a call at 503-601-0212. Visit http://apps.finra.org/testcenter/1/locations.aspx to find a testing location near you!